This recipe originally appeared in the Spring 2018 issue of Paprika Southern as a part of our Brunch in Bloom feature. To see the full feature in print, along with more recipes, order the Spring 2018 issue of Paprika Southern. Roll out pie crusts slightly and cut out circles big enough to fit inside a muffin tin and go partway up sides (a wide-mouth Mason jar lid works well as a template). Spray muffin tin with non-stick spray and push dough circles into holes. In a small pan, sauté the spinach in 1 tablespoon of olive oil. Cook until wilted. In a large bowl, whisk eggs and pour in heavy cream. Add in salt, pepper, nutmeg, and thyme. Stir well. Fold in cheeses and spinach. 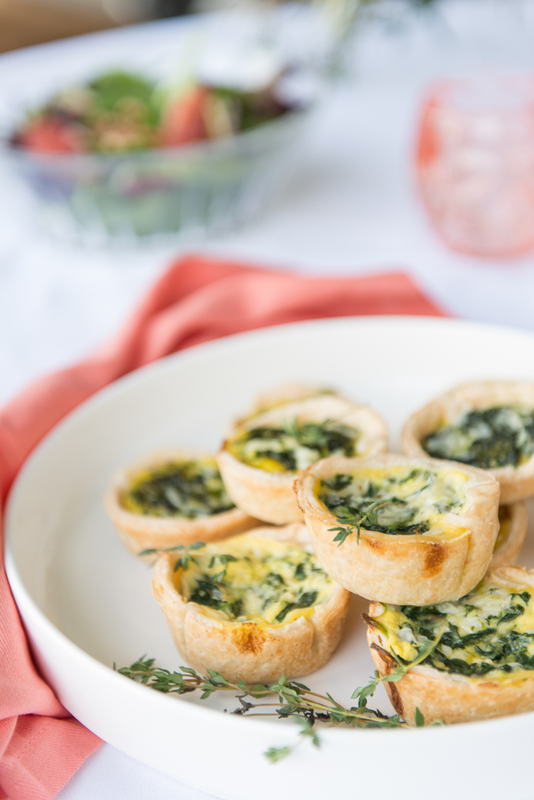 Spoon quiche mixture into muffin tin on top of crust pieces. Bake for about 13 minutes or until egg mixture is firm and crusts are slightly brown. Serve immediately or at room temperature. Garnish with fresh thyme. The Spring 2018 issue of Paprika Southern features fashion infused with illustrations of Kristie Duncan, the photographic legacy of iconic southern photographer Jack Leigh, a spring brunch menu, natural hair remedies to soothe the scalp after a hard winter, how to begin building a lifelong art collection, a look at how a change in Georgia law is altering the craft brewing and distilling landscape, and much more. Paprika Southern is a quarterly publication dedicated to inspiring creativity and intention in everyday life. In our pages you will find lush visuals and thoughtful writing, as well as a commitment to inclusivity. We offer a curated view of the most innovative creatives, trends and art of the South, and we invite you to join our journey. This interview with Candace Brodmann of Moss & Marsh originally appeared in the Winter 2016 issue of Paprika Southern. 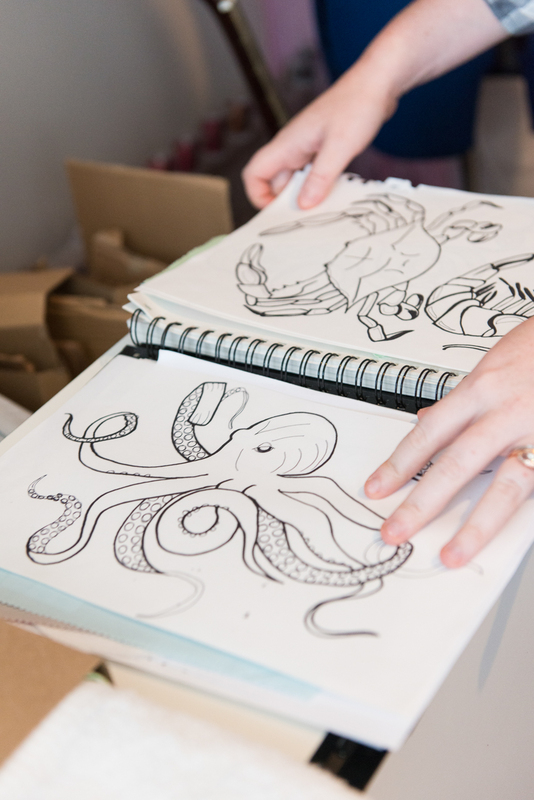 Since the time of that interview, Candace has moved the Moss & Marsh headquarters to an expanded studio location where she now produces her screen prints in-house. She has added three new prints to her line, including the most recently launched early this year, her Monstera print, and she plans to release an Oysters print this spring. Additionally, there is a home collection in the works, set to to debut June 1. 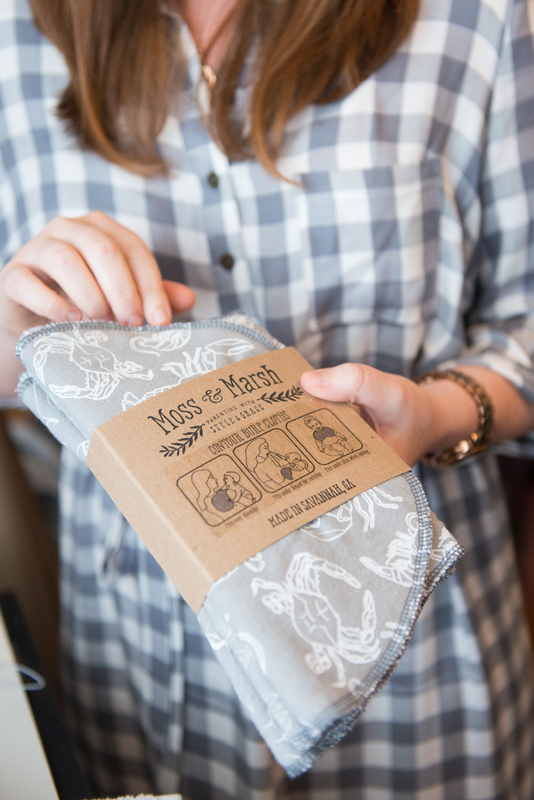 The Moss & Marsh product line is now carried by 24 retailers, spanning geography from Georgia to Alaska, and this summer Candace plans to showcase Moss & Marsh at Americas Mart in Atlanta for the first time. In addition to her own tireless work and dedication, Candace also cites the countless relationships she’s built with other makers and creatives in the community as a vital part of growing a handmade business. Moss & Marsh will celebrate its third anniversary this April. That is exactly what Candace did. She would head to her sewing room and sew up essential must-have items that she found were necessary for any parent. Eventually this practice led to an assortment of eleven products that would begin her journey as a mom-preneur. 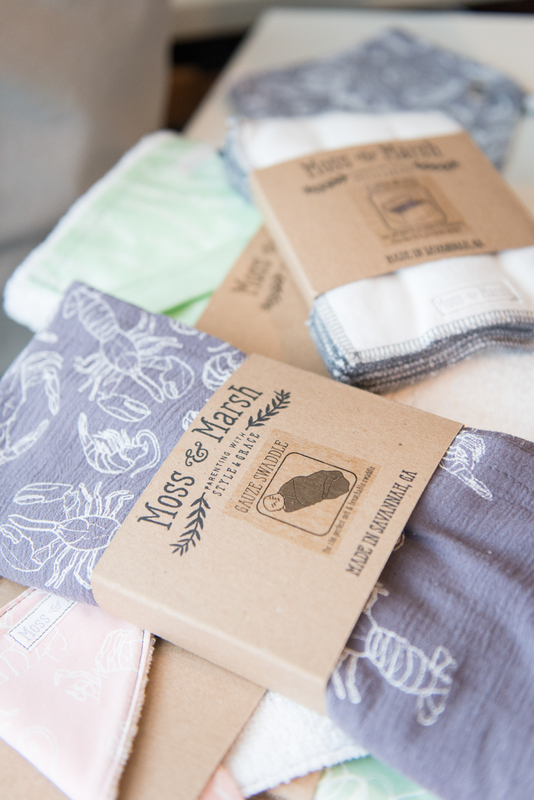 Candace, Founder and Creative Director of Moss & Marsh, graduated from the University of Georgia with a degree in textiles, giving her the foundation that she needed to begin her multi-functional, baby product collection. From sewing, designing, and printing each product on her own, this mom-preneur has kept the ball going and still manages to juggle all roles. This labor of love process is what gives Moss & Marsh the handmade quality appeal that her customers have come to appreciate with each item. She saw a niche in the community and began product testing at baby showers and with each piece of feedback she would refine her products. Although life as a businesswoman has been filled with sacrifices and challenges, Candace gets excited with every order she receives and it means a lot to her to know that “someone [she doesn’t] know supports [her business].” As for what the future holds, she envisions herself in her own home studio that will employ other stay-at-home moms and possible room for a toddler and even a maternity line. In the end, her goal for Moss and Marsh is to be the go-to business for functional baby products that will make parenting life easier. See the full article about Candace Brodmann of Moss & Marsh in print with an order of the Winter 2016 issue of Paprika Southern. This issue also features enchanting winter fashion in a cotton field, recipes designed for winter comfort, an interview with the founders of Brackish Bow Ties, and much more. In the Spring 2019 issue of Paprika Southern, contributor Stephanie Tallevast shared strategies for injecting color into interiors after a long winter. To help you re-create some of the interiors looks we shared, Stephanie has compiled some home accessories to get you started. 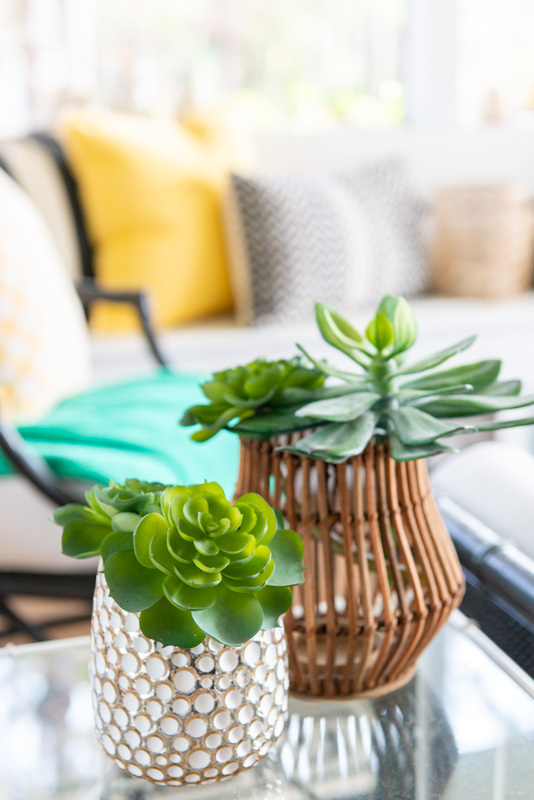 If you’re dreaming of colorful home decor this season, just choose a look, and away we go! If you haven’t picked up your copy of the Spring 2019 issue of Paprika Southern yet to see the full feature, Bring On the Color: Color Strategies for Interiors, no fear. You can order a copy now. Focus on neutral big-ticket items in black and white, add natural materials such as sisal and bamboo and finish with a flourish of brights such as emerald green and sunny yellow to entertain with style. High drama will follow when complimentary colors of plum and goldenrod are layered with metallic gold. Collected items look rich against deep walls and striking textiles with strong color contrast. 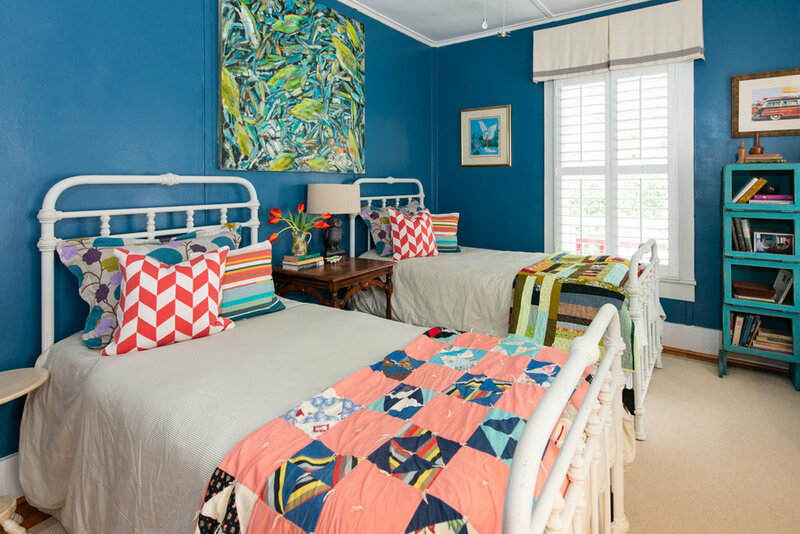 Nothing says “welcome” like a bright and cheerful guest quarters decked in bright colors. Try deep peacock blue along with accents of its complimentary color, orange, and highlights of apple green. Dish out a daily offering of made-from-scratch delights and some fun-loving spirit with mid-century colors of lemon yellow, aqua, and poodle pink. Let natural materials such as wood and leather set the stage for spotlighting colorful artwork and collections. To see this full feature in print, plus much more spring inspiration for fashion, lifestyle, and more, order your copy of the Spring 2019 issue of Paprika Southern today! 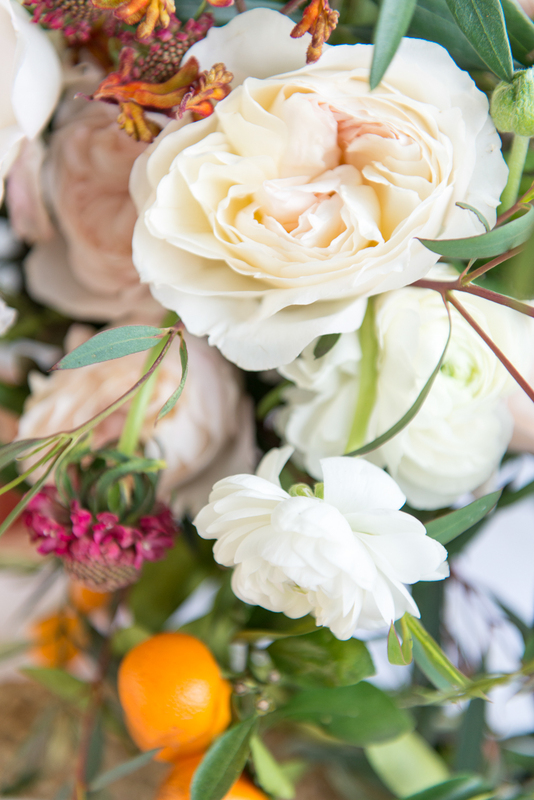 The Spring 2019 issue of Paprika Southern is an explosion of seasonal inspiration. We’re sharing an in-depth interview with photographic artist Ansley West Rivers, whimsical and colorful spring fashion, farm fresh recipe inspiration, a photo story on the ASI Tea Company featuring the Southeastern yaupon tree, our guide on incorporating spring color into your interiors, and much more. Signs of Spring: How to Update Your Porch for Spring originally appeared in the Spring 2017 issue of Paprika Southern. To see this full feature in print, along with colorful spring fashion inspiration, produce-forward spring recipes, avant-garde makeup looks, and much more, order a back copy of the Spring 2017 issue of Paprika Southern. Most of us fall under Mother Nature’s spell this time of year, daydreaming about being outside amongst the springtime splendor. It’s the perfect occasion to refresh our outdoor living spaces. And why not begin with a home’s most welcoming space, the front porch? Arranging a porch for the enjoyment of the inviting temperatures, the lazy downtime and some impromptu entertaining shouldn’t require excessive means or much time, just a lot of inspiration. Begin with comfortable seating and interesting service tables. Sturdy pieces that are light enough to easily move for the sweeping away of springtime pollen are ideal. Remember to give every seat a place to put a drink or rest a book. A mix of vintage and new items adds interest and gives your furniture arrangement character. Shop resale and thrift stores for interesting items that keep your big box store purchases from looking too predictable. 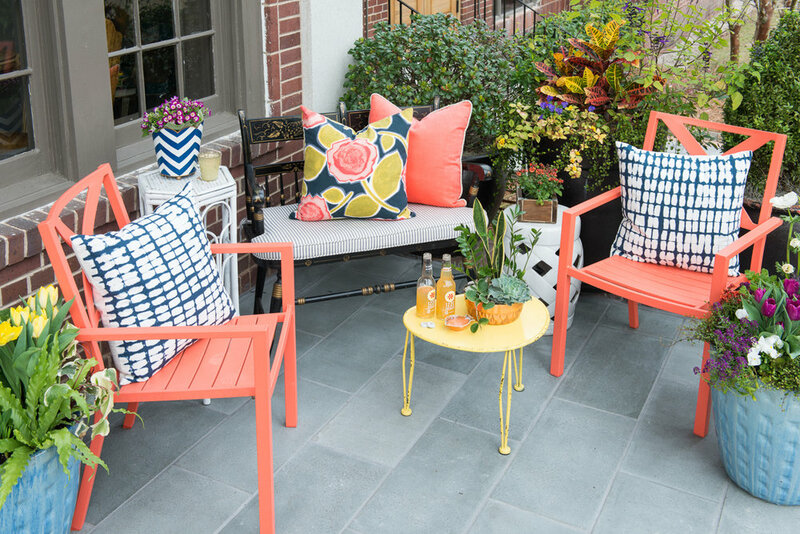 Outdoor furniture can be livened with a vibrant paint color. An unexpected version of your chosen hue can be achieved using spray paints, especially specialty color spray paints available at art supply stores. Try a palette of a couple of offbeat colors set against blacks or neutrals. The prep and paint of seating and occasional pieces takes less than a day. Once applied, a quirky, bold color lends maximum impact. 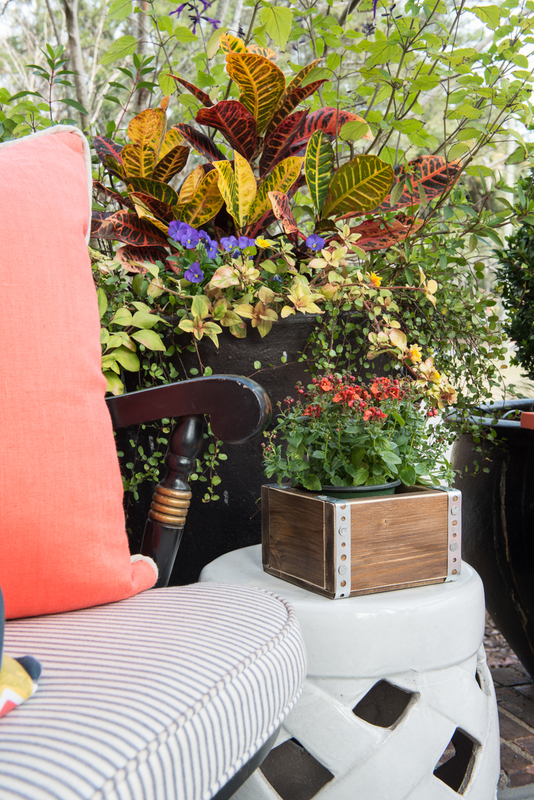 No porch is complete without bright florals and lush greens, arranged in container gardens. 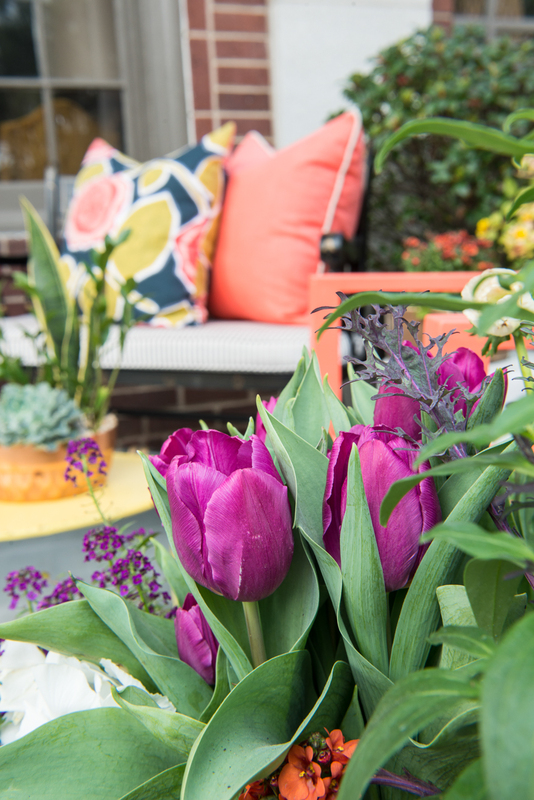 Jennifer Melear of Everbloom, Inc. gives tips on creating your own vibrant planters. She advises “Choose your tallest plant to add first, placing it with either a radial or offset composition in mind, and to fill in from there.” She also suggests varying the texture of each plant that is added. “On a porch, where the planter will not be viewed from all sides, you will want to place the tallest plant toward the back and stagger plant heights from there” says Jennifer. She also shares that you should observe the amount of light that your space receives and choose either shade-loving or sun-loving plants to thrive in their environment. When selecting an actual container, many options are available. Simple terra cotta pots are a great choice, since they hold moisture. Glazed terra cotta can add a pop of color. Items that are upcycled for use to hold a plant make spaces authentic and unique. Be sure to use a plastic planter pot inside repurposed containers so that plantings can be lifted out to drain after watering. In an area such as a front porch, a variety of pillows and textiles add pattern and warmth. Go for at least one strong print or color that will set off your entire furniture arrangement. Use of regular fabrics in a covered area is fine, as long as they are stored when not in use. For uncovered areas or for items that will remain in place most of the time, opt for indoor/outdoor solution-dyed acrylic fabrics that will not fade. Pillows and cushions constructed in indoor/outdoor fabric are readily available at furniture and home improvement stores in the spring. Be mindful to do your best shopping early, as the selection offered of these seasonal items dwindles by summer. Accessories for porches shouldn’t overcrowd; rather just punctuate. Besides adding warmth, vintage items help to make a space one-of-a-kind. Trays are especially useful to transport items from interior spaces for use outdoors. Citronella candles keep pests far away, and retailers now offer a variety of stylish versions. Most of all, bring out only durable and washable items so your outdoor relaxation remains stress-free. Lastly, a seasonal bar is a snap to incorporate into covered outdoor areas for outdoor entertaining. 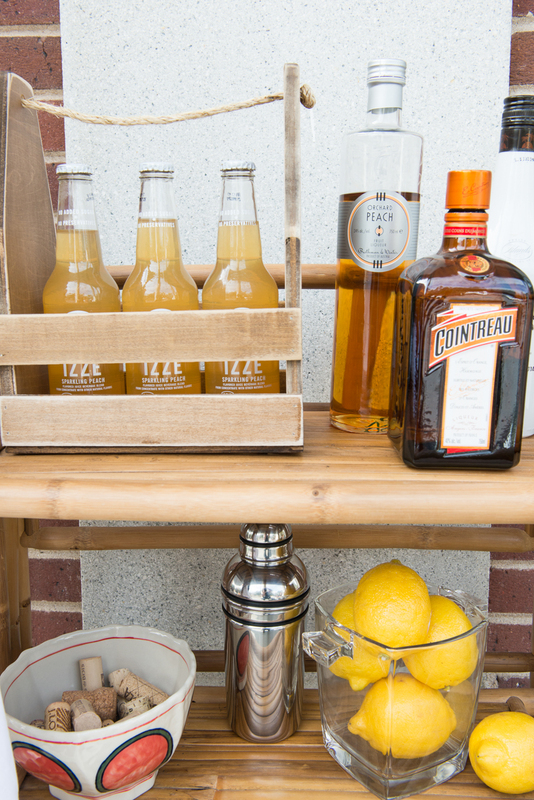 A small cart, shelf or cabinet will do to hold essentials for mixing the perfect porch libation. Keep it simple by having only a limited number of items in your offerings. For a touch of luxury, don’t forget the cloth cocktail napkins. Considering a signature drink for the season allows you to stock just its needed ingredients and to offer a fun cocktail to guests who join you in toasting to the pleasures of the season. Cheers to spring! The Spring 2017 issue of Paprika Southern is filled with thoughtful and colorful seasonal inspiration. 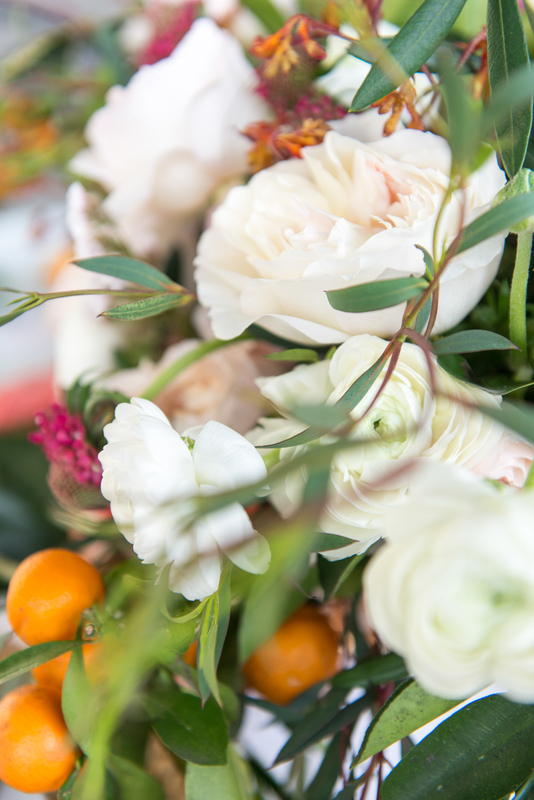 We’re sharing spring recipes highlighting local, seasonal produce, spring fashion inspired by color, avant-garde color-saturated makeup looks, our tips on updating your outdoor entertaining space for warm weather, and much more. 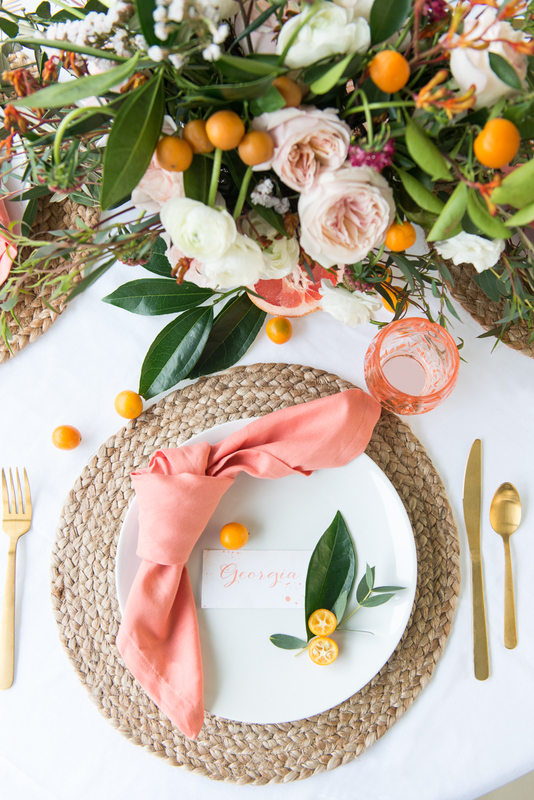 Brunch in Bloom: Floral and Citrus Brunch originally appeared in the Spring 2018 issue of Paprika Southern. To see the complete feature, including recipes, in print, order a back copy of the Spring 2018 issue of Paprika Southern. 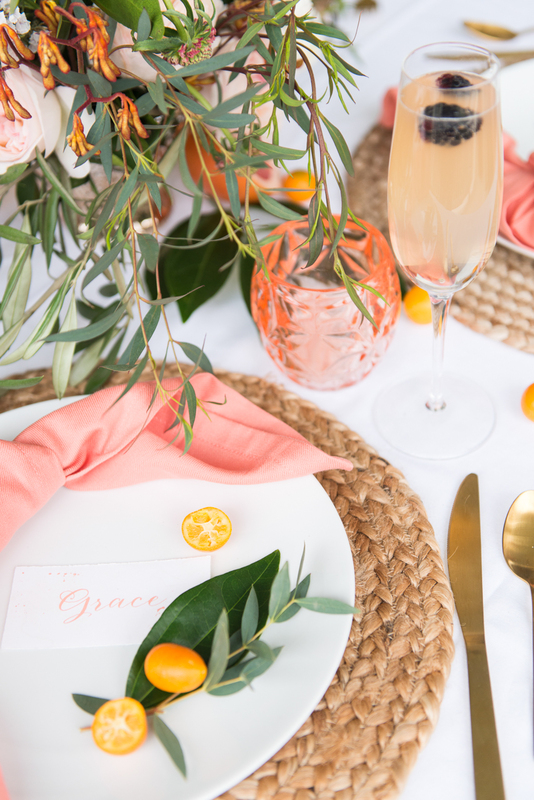 This spring we’re inspired by the fresh colors and bold flavors of citrus—grapefruits, blood oranges, lemons, kumquats. A feast for the eyes in the burst of vibrance these fruits bring to the table, the zest of citrus also offers a treat for other senses. 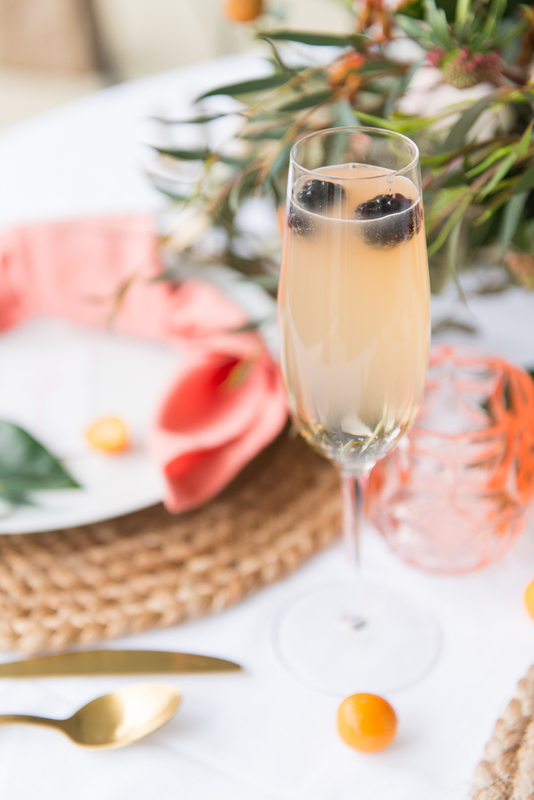 This season, try hosting a brunch that plays off these flavors with the dishes infused with both the past of citrus of color of spring blooms. 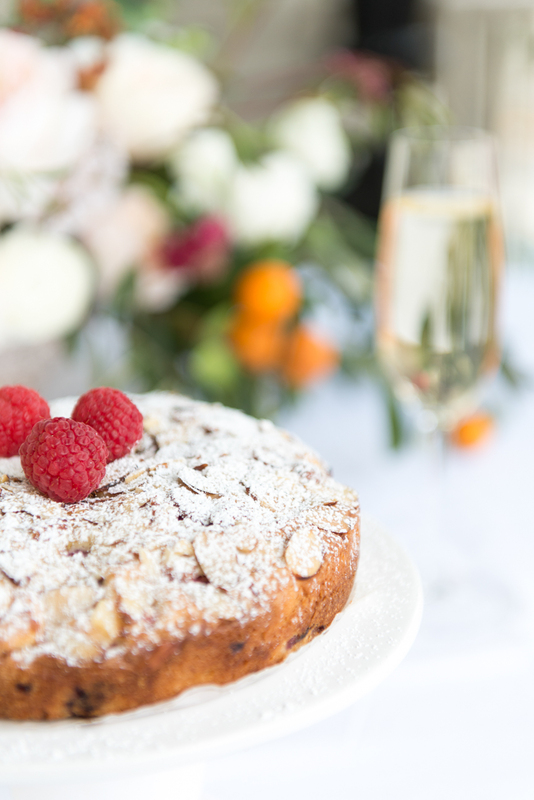 With Valentine’s Day approaching, we thought this would be a great time to share this Lemon Almond Tea Cake Recipe. Although it appeared in our Spring 2018 issue, it feels perfect for a Valentine’s (or Galentine’s!) 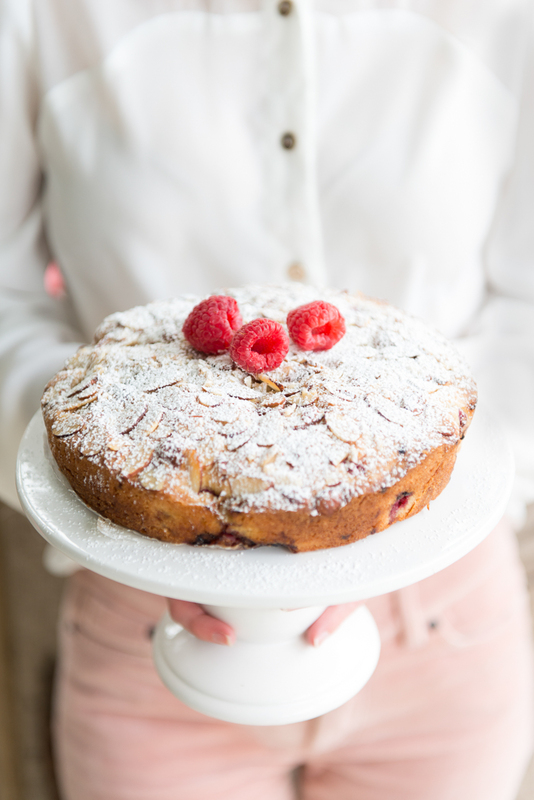 Day treat as well, and (clearly) we can’t get enough of raspberries-themed desserts to capture that romantic vibe. Preheat oven to 350°F. Butter an 8" cake pan and line with a circle of parchment paper. Set aside. Cream butter, oil, eggs, and sugar with a stand mixer until light and fluffy, about 2 minutes. Add in lemon zest, lemon, and vanilla extracts. Slowly add in flour, almond flour, baking powder, and salt until just combined. Fold in raspberries. Pour batter into prepared cake pan. Top with slivered almonds. Bake for 40 minutes, or until cake is lightly brown on top and a knife inserted into the center comes out clean. Cool cake for 15 minutes before sprinkling with powdered sugar and slicing into triangles. 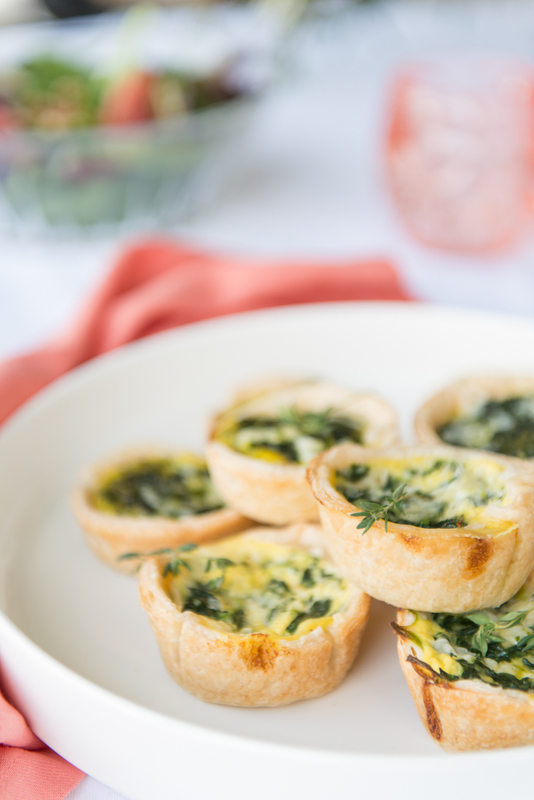 You can find this recipe and more spring brunch recipes in our Spring 2018 issue. In this issue you’ll also find an exploration of the photographic legacy of Jack Leigh, tips on how to begin and grow a lifelong art collection, spring fashion featuring the illustrations of Kristie Duncan, and much more. You can also reserve our upcoming Spring 2019 issue when you become a subscriber!